The Tramway du Mont Blanc isn't really a tramway and it doesn't go to Mont Blanc! Apart from that, the 12.4km line connects the SNCF station at St Gervais les Bains-Le Fayet (509m) with the Bionassay Glacier (2372m). The line opened in 1909/1914, with gradients of up to 24% and was electrified in 1953-1956 with 11kV. 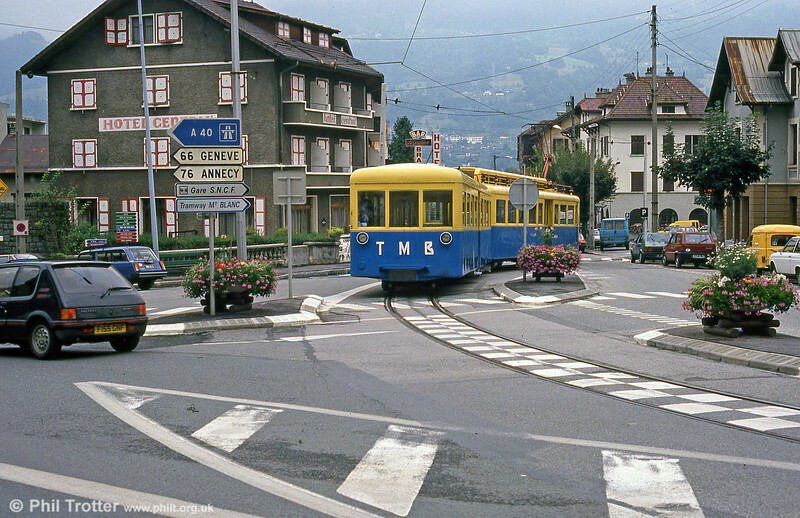 A TMB unit in Avenue de Geneve, St. Gervais as seen on 3rd September 1989.